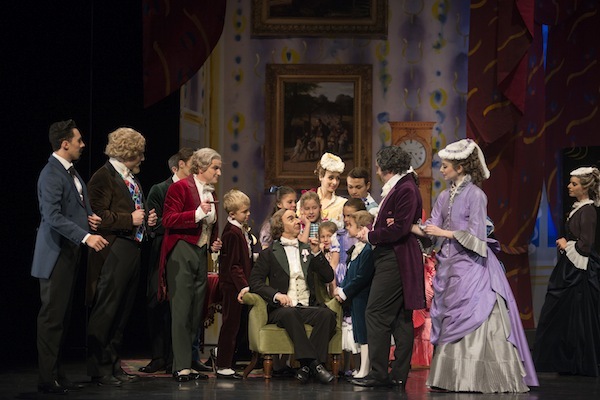 A new Nutcracker promising to attract people who might find The Royal Danish Ballet too posh premiered at Tivoli in Copenhagen this season. The bullet points were intriguing: Tivoli’s largest ballet production ever, choreography by former RDB principal Peter Bo Bendixen, costumes and set designs by Her Majesty Queen Margrethe II of Denmark and dancers from all over the world. 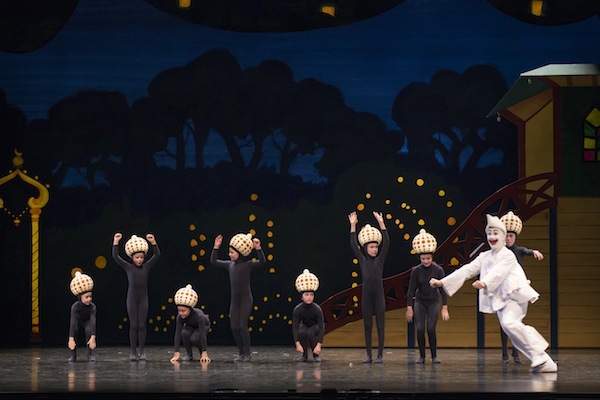 When The Nutcracker is being performed alongside cabaret shows and family musicals, it may very well seem a lot less scary to many people. And maybe – just maybe – a dash of Gangnam Style is exactly what it takes to make children in the audience correlate classical ballet with adjectives like “cool” and “trendy”. 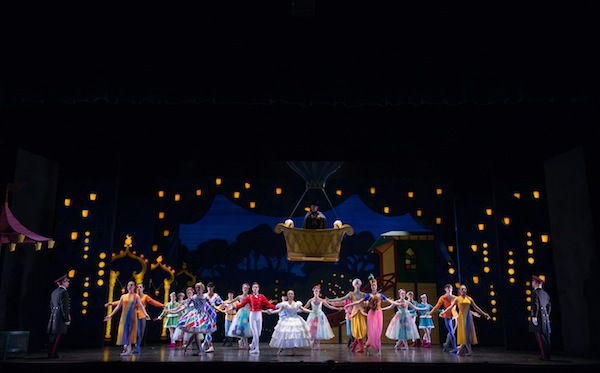 I approached this production with initial concerns: how do you stage a major classical production with a cast consisting mainly of freelance dancers combined with a handful of principals from big companies? While the freelance approach is not unusual at all in contemporary dance, it is a fact that classical ballets with a lot of corps de ballet work benefit from a certain uniformity of style and that this can only be achieved by a company that is used to taking class and rehearsing together. Quite simply; swans, sylphs and snowflakes need to be in sync. I was intrigued, however, by the concept: the second act’s traditional Kingdom of Sweets had been tossed and replaced by a trip to the very place where it was being danced – Copenhagen’s Tivoli Gardens. This twist also saw quite a few 19th century luminaries added to Clara’s family Christmas: Hans Christian Andersen and August Bournonville, as well as Tivoli’s former director Bernhard Olsen and his musical director Balduin Dahl – a bit of a Who’s Who from Copenhagen’s cultural elite at the time. I imagine H.C. Andersen would have been a fabulous Christmas guest, and of course, the first act saw him reading fairytales to Clara and her brother. I would have also been thrilled to welcome Bournonville to Christmas dinner, yet this production made him a look bit too eccentric: an old man constantly dancing around, trying out different steps while puffing away on his cigar – almost as if he were mocking ballet. Things began well: the staging seemed lovely and quite traditional. One of my personal highlights was the wonderful Jette Buchwald as the maid – she displayed the perfect combination of affectionate devotion and understated cheekiness with a healthy dash of discipline. 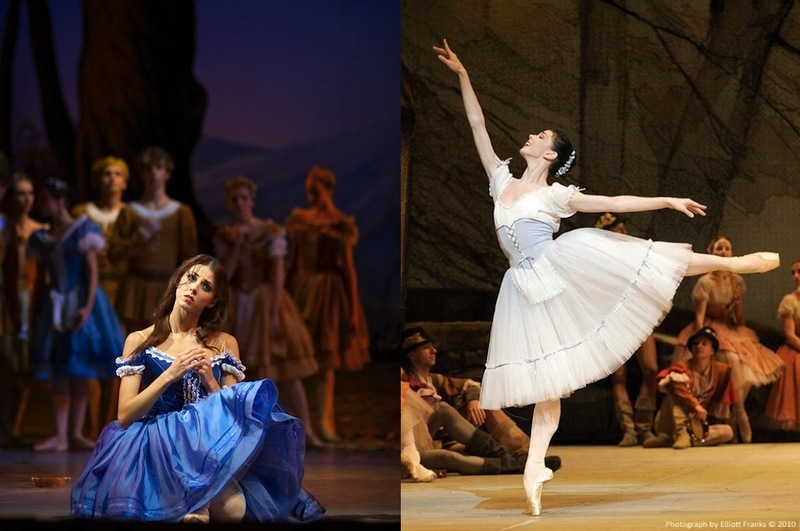 Buchwald was a character dancer with the RDB for many years and had previously lent her wonderful talent to such roles as Madge in La Sylphide and the nurse in John Neumeier’s Romeo & Juliet – seeing her on stage is always a true pleasure. But towards the end of the first act, my apprehension about the corps de ballet seemed justified. Let’s say that the snowflakes were not the most even group of dancers I have ever seen, though I am sure that for many members of the audience, the lack of sync was completely overshadowed by the shiny, silvery snowstorm of the dancers’s tutus. These were definitely innovative fairytale material. The rest of the second act was less eventful. The music traditionally used for the Spanish dance was replaced with new music by Jesus Losada Albadia, and Flamenco dancer Selene Muñoz performed her own choreography to Albadia’s music. Of Danish and Spanish heritage, Muñoz has made it her mission to bring the cold blood of Scandinavia to a boil with her passionate dancing. She is doing a brilliant job, but however stunning her dancing was, I found it was hard to justify the omission of Tchaikovsky’s beautiful score. 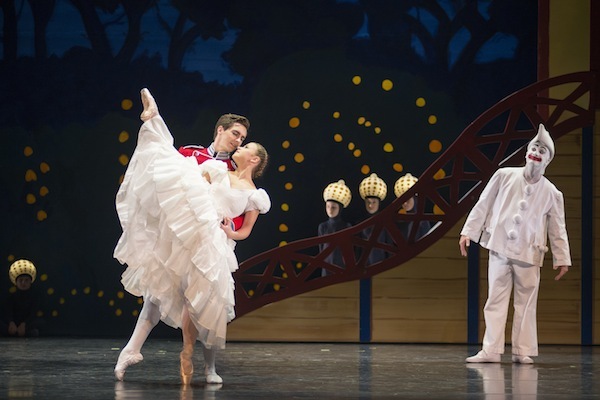 The Act II grand pas de deux was performed by another former RDB principal, Andrew Bowman, with Burnise Silvius, a principal with the South African Ballet Theatre, as his partner. While they both danced beautifully, Bowman seemed out of place: it was a joy to see him on stage in Copenhagen again, but Bowman is a statuesque dancer of international calibre who recently received raving reviews as Albrecht in Ethan Stiefel & Johan Kobborg’s production of Giselle. This particular stage simply wasn’t big enough for him. On top of that, the grand, traditional pas de deux format didn’t seem to gel with the rest of the evening. So where does all this leave this new Nutcracker? Tivoli’s CEO Lars Liebst prefaces the programme by sharing his hopes for the production’s future: he wants it to become a Christmas tradition, something that families look forward to every year come December, like so many other Nutcrackers all over the world. 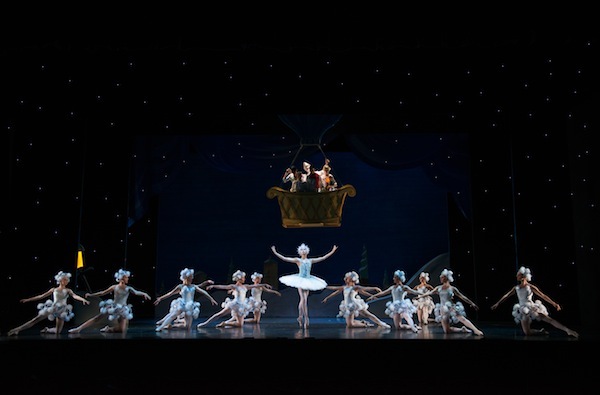 While the production could be tighter and the dancing cannot quite match Royal Danish Ballet standards (those snowflakes do need to work on looking more uniform), this isn’t a Nutcracker without hope: it reminds us of the magic of ballet and of Clara’s enchanting dreams on Christmas Eve. Between the undeniable charm of Tivoli, the imaginative costumes and the very personal twist to that much loved story - who knows? – maybe Christmas 2013 will see the lanterns indulging in an all-new dance craze – one that we have yet to hear about. thank you for your comment, I’m glad that you enjoyed my article. The stage you saw when you visited Tivoli must have been the Pantomime Theatre, a small outdoor theatre built in 1874 and used mainly for performances of traditional pantomime and more recently also for ballet and contemporary dance. The Nutcracker was performed at Tivoli’s Concert Hall, an indoor theatre opened in 1956. It is used for concerts as well as dance performances, and both Alvin Ailey American Dance Theatre and the New York City Ballet have a long tradition of performing there when they visit Copenhagen. I’ve been to Tivoli Gardens, briefly, while on a trip from London across the Baltic to the USSR. The Soviet ship I was on was docked in the Copenhagen harbour only for 3 hours. Just enough time to walk to the Tivoli gardens and get back to the ship before it left for Leningrad. Of course that was back in Soviet times and the Tivoli must have changed much since then. I only saw a small outdoor stage, so I wonder, unless they have built an indoor theater, how can a Nutcracker be performed outdoors in winter. I enjoy this review of the production and hope it was filmed. My only reservation is the Spanish dance being substituted with a flamenco number, and with different music. I do love flamenco but somehow it seems to me to be unfitting and an insult to Tchaikovsky’s glorious complete score.